Dr. Yan Chen joined PNNL in 2015 as a building energy research engineer working on the Building Energy Codes Program. Prior to joining PNNL, Yan participated in a variety of research studies at Purdue University, University of Missouri, and the Pennsylvania State University, including advanced building control strategy development, building control information modeling, agricultural building air pollutants monitoring, and ventilation measurement. He also interned at Sebesta Inc. for building commissioning. His dissertation focused on building control knowledge information modeling and the development of control selfconfiguration. 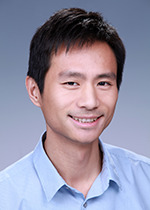 Yan is currently working on building energy simulations and analyses to support the development and implementation of energy codes and standards. Chen Y., B. Liu, J. Zhang, M.I. Rosenberg, J. Edelson, and M. Lyles. 2019. Final Energy Savings Analysis of the Proposed NYStretch-Energy Code 2018. PNNL-ACT-10073 Rev 1. Richland, WA: Pacific Northwest National Laboratory. Chen Y., B. Liu, J. Zhang, M.I. Rosenberg, J. Edelson, and M. Lyles. 2018. Final Energy Savings Analysis of the Proposed NYStretch-Energy Code 2018. PNNL-ACT-10073. Richland, WA: Pacific Northwest National Laboratory. Athalye R.A., Y. Chen, J. Zhang, B. Liu, M. Frankel, and M. Lyles. 2017. City Reach Code Technical Support Document. PNNL-26824. Richland, WA: Pacific Northwest National Laboratory. Li H., Y. Chen, J. Zhang, R.A. Athalye, V.V. Mendon, and Y. Xie. 2017. "A Systematic Classification for HVAC Systems and Components." In Proceedings of the American Society of Heating, Refrigerating and Air-Conditioning Engineers (ASHRAE) Annual Conference, June 24-28, 2017, Long Beach, CA, LB-17-C014. Atlanta, Georgia:ASHRAE. PNNL-SA-122937.